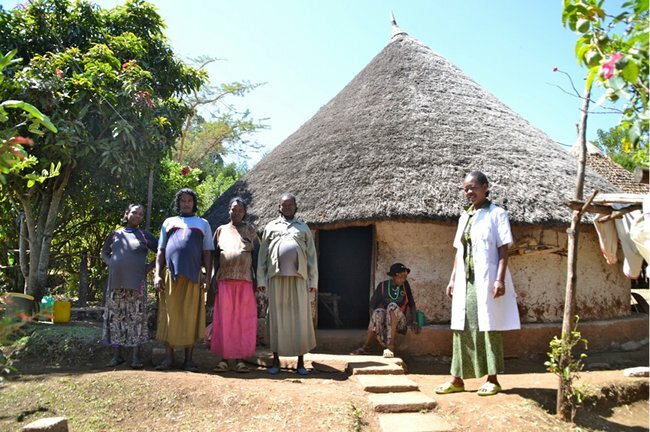 The Ethiopia Fund is a self-owned organization that aims to raise funds to help women in Ethiopia in connection with pregnancy, childbirth, and related childbirth fistula problems. In addition, we aim to support and further education in these areas. We are listed in the Brønnøysund Register Centre, Norways central register authority and source of administrative information. Our corresponding organisation number is 997836529. A requirement of being registered with Brønnøysund is that the organisation has a governing board and files financial accounts through the use of a Chartered Accountant. In addition to the Brønnøysund Register, we are also registered with Innsamlingskontrollen. This is a voluntary organization in Norway that acts as a watchdog and safeguards humanitarian, religious, and charitable collections. It is also the official registrar for the "Innsamlingsregistere" where collecting organizations are registered. Please follow this link to see our entry. 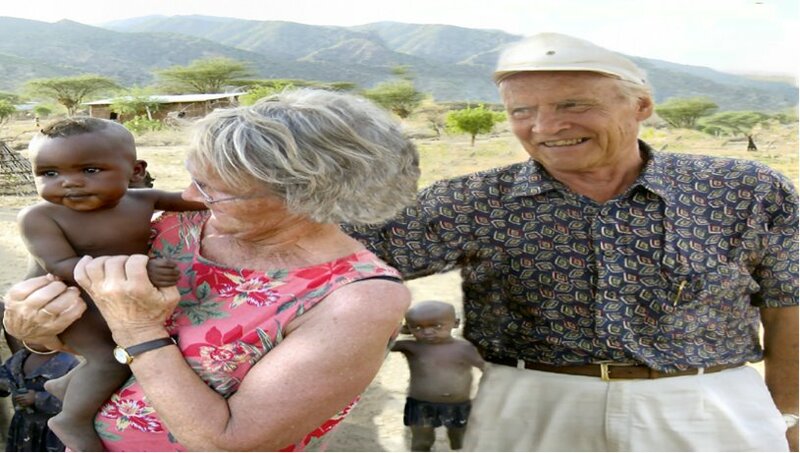 Written from the point of view of Anne Berge Pedersen, founder of The Ethiopia Fund. The Ethiopia Fund is an organization that was started in 2007 after my first trip to Ethiopia to look at the building work for the new women’s ward that was under construction at the time. The new ward was being built as a memorial for my aunt and uncle Guri and Åsbjørn Aarsland who were killed in a road traffic accident outside Kristiansand in 2003 along with their grandson Isak (9). 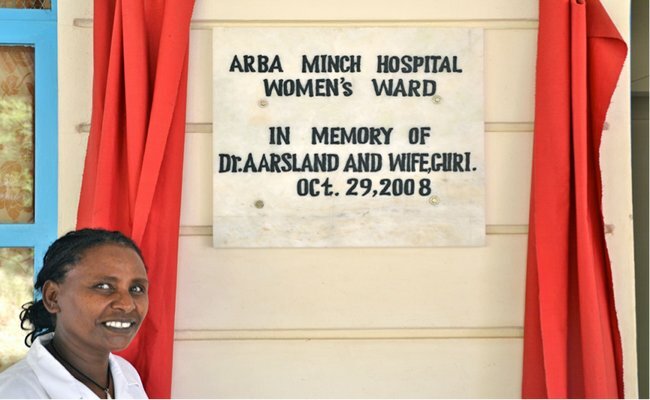 Guri and Åsbjørn had worked most of their adult lives as a surgeon and nurse in various places around Ethiopia, and they served longest at the Arba Minch Hospital in South-West Ethiopia. It was therefore fitting that this hospital was picked for the building of thew new woman’s ward. 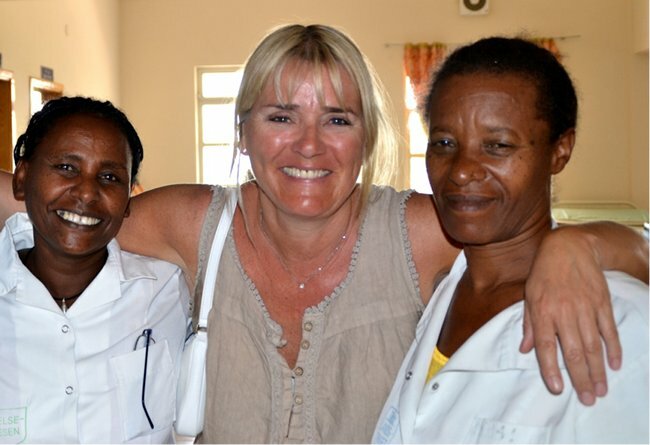 The new Women’s Ward is made up of a labour ward, a postnatal ward, a gynaecological department, 2 operating theatres, a mother and baby clinic, a maternal village, and a 20-bed Fistula department (though this closed at the end of 2012). The Hospital is located on a hill above Arba Minch giving the fistula women a beautiful view over the town. 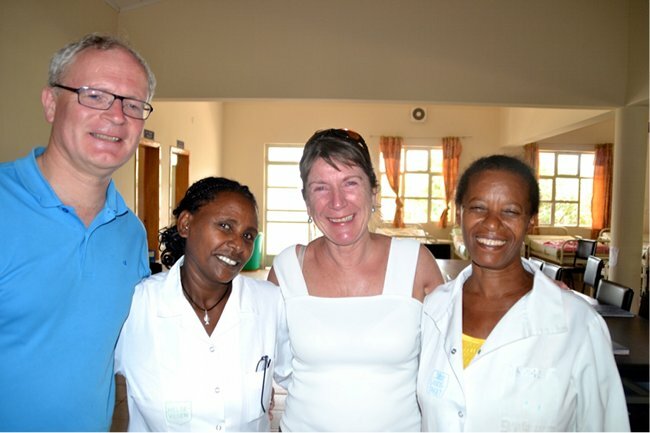 It was on this first trip to Ethiopia I initially heard about Fistula problems and got the chance to meet women suffering from these serious birth injuries. I experienced first hand the unbearable smell Fistula problems lead to and saw the women's tremendous suffering and shame; I instantly knew these women needed help! Wherever they sit, stand, or walk they leak urine and/or possibly faeces. It is common knowledge that we are more likely to show kindness and give our support when we receive something in return. Therefore, in an attempt to raise donations, I sang and recorded two CDs; the first in 2007, “Singing For The Women Of Ethiopia,” with our youngest son, Philip, and the second in 2009, “Caring for Ethiopia.” Soon after, I started receiving donations in return for copies of these CDs; donations were coming in from friends, friends of friends, family, and colleagues at the hospital where I worked in England. In March 2010 I held my first official presentation for The Ethiopia Fund at a Midwifery conference in Oslo, and from there on, I have since given numerous presentations on midwifery and medical conferences around in Norway collecting donations towards thousands of CDs. Up until 2012 the total amount donated was approaching NOK 1 million, including donations from companies, regular monthly contributions from individuals as well as people wanting donations to go towards the project instead of receiving gifts for their birthday party or wedding. 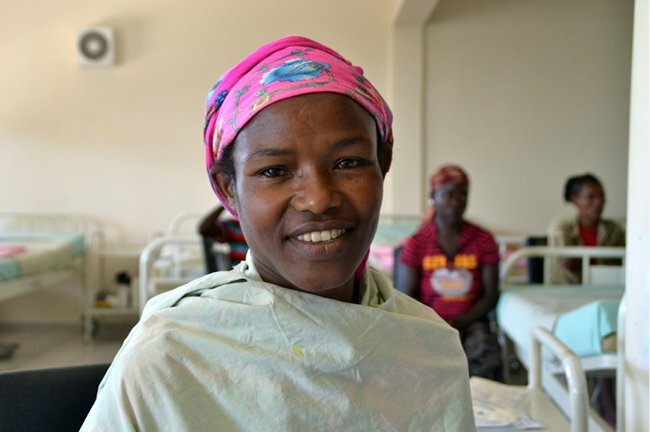 This is a fantastic achievement but with more than 100,000 existing women with current Fistula problems in Ethiopia and 9-10,000 developing new Fistula every year, much more is still needed. The Ethiopia Fund’s board was founded in January 2012 after Ola Gimnes, an authorized accountant, told us he was happy to do the book-keeping for The Ethiopia Fund free-of-charge. The board is made up of Kari Woldseth (another midwife), Per Anders Gulowsen (a consultant gynaecologist), Anne Ringdal (a dental hygienist) and Atle Pedersen (my husband, a ship broker). Later the same month we became a registered organization in Brønnøysund with the registration nr 997 836 529 as well as a member of Innsamlingskontrollen. Dr. Gulowsen and Midwife Kari Woldseth along with the ward manager and nurse Efagegnehu inside the Fistula department at Arba Minch Hospital in January 2012. One of the young girls at the fistula department in Arba Minch. 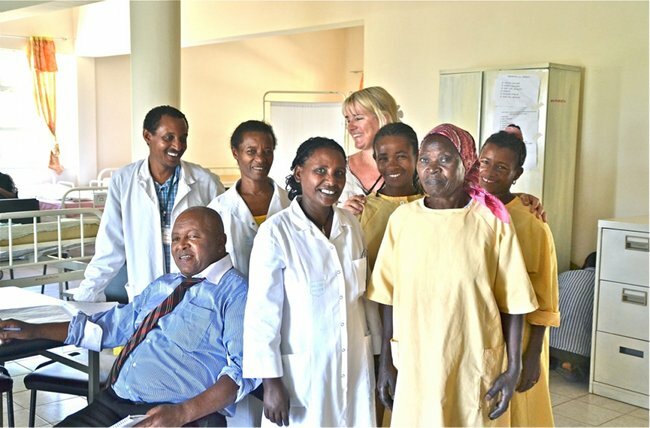 The Ethiopia Fund’s collected donations went initially primarily to supporting the Fistula Department at the new Women’s ward at Arba Minch hospital and to ensuring that outreach work was performed in Arba Minch (population 80,000) and the surrounding rural area of Zigitti (population 50,000). The Norwegian Lutheran Mission (NLM) made this outreach work possible with an ageing Toyota Land Cruiser that they kindly donated. However, this Land Cruiser was old and well used, and it required a maintenance overhaul in order to enter service. This work was financed by donations from The Ethiopia Fund. Unfortunately, at the end of 2012, the Fistula Department in Arba Minch had to close for surgery. The surgeon working in the department, Dr. Amenu, suffered a stroke in October 2012, and a suitable long-term replacement could not be found. 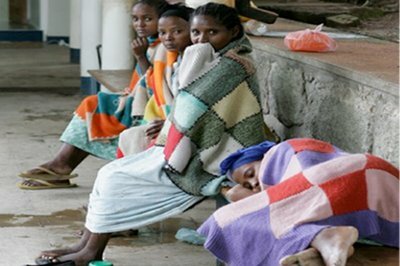 Since this time the Department has been operating as a waiting area where the women come, are examined, and stay until they are transported to Yirgalem. 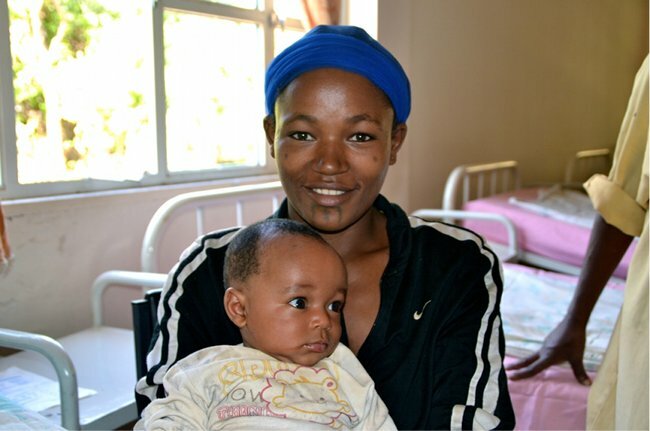 Since birth injuries like fistula occur most often in young girls it is essential that parents are made aware of the importance of education and of delaying marriage and pregnancy until later in life when the pelvis is sufficiently mature. It was important that the availability of the hospital and surrounding health care centers was advertised, and a mindset instilled into expectant mothers of using these centers and choosing professional medical help for antenatal care. These expectant mothers must be taught that attempting to give birth at home with an un-trained birth attendant that lacks the necessary skills needed for a safe delivery, especially if complications occur, is dangerous. An exciting new project that we became involved in was the construction of a new Maternity Village within the hospital area of Arba Minch. This Village cares for high risk women with twins, breech presentation, and pre-eclampsia, amongst others, who normally live out in the rural areas far away from medical access. These women can come to the Maternity Village and stay for the weeks leading up to delivery to ensure they are in a safe environment if complications should occur during the birth process. 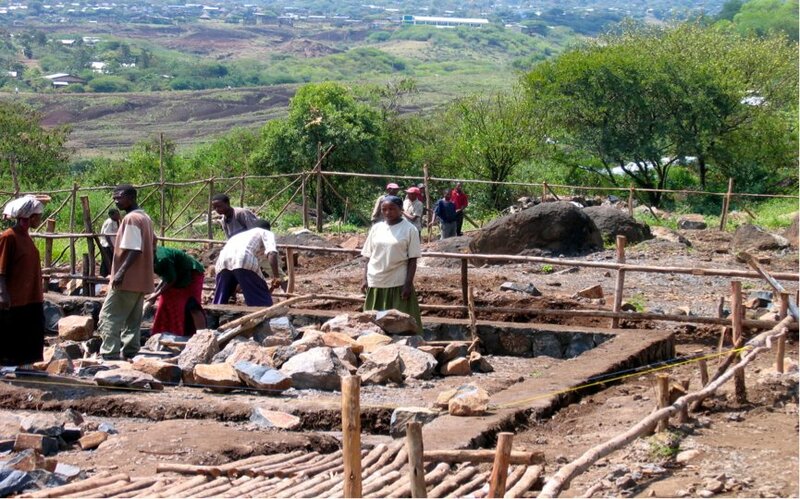 Our plan is also to build a new Maternity Village up in the mountains of a town called Konso (further south in Ethiopia) as soon as the new hospital being built here is up and running. This is one of the 10 health centers built in the rural areas managed by Arba Minch Hospital. The Fistula department’s main aim for the outreach work was to find the hidden shameful fistula women, give them information about all the free treatments available, including transportation to the hospital, the operation(s), post-operative care, physiotherapy, new clothes and the return journey back home. 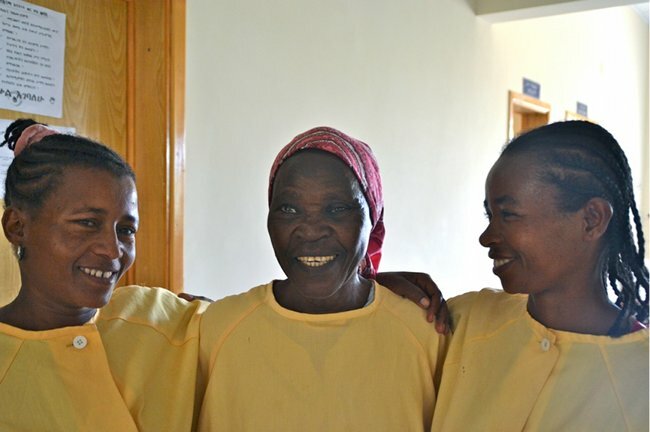 The aim for 2012 was to treat at least 60 Fistula women over the course of the year, but in the first three months more than 30 women had been operated on. This was effectively a doubling of the planned number of operations for the year, and it was impressive considering there was only a single gynaecologist at Arba Minch hospital, Dr Amenu. 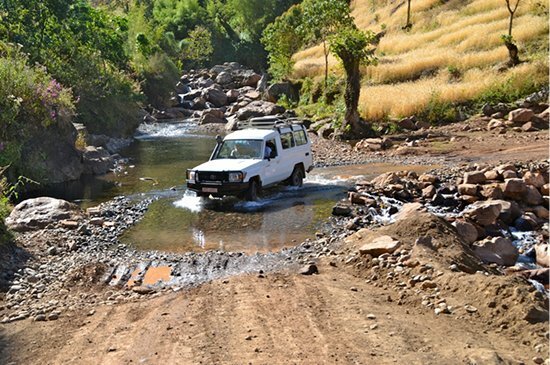 Our plan was to hire a second gynecologist to come to Arba Minch one week a month or if possible to employ one full time. Dr. Bernt Lindtjørn (www.lindtjorn.no) was involved with this recruitment work. The salary for the staff at the Fistula Department was very low. Thus, we wanted to support pension schemes for employees of the department. In addition to this financial support we also wanted to supply new clothes for fistula women, as well as sanitary napkins, underwear, bed sheets, curtains for the ward and blankets to the women. 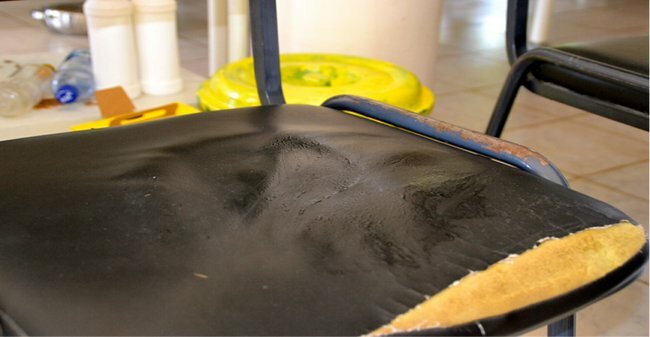 We also supplied items such as a kettle for making tea/coffee and a separate TV for the ward; due to the smell of urine and faeces suffered by the Fistula women they were not allowed by other patients to use the common rooms in the rest of the hospital. 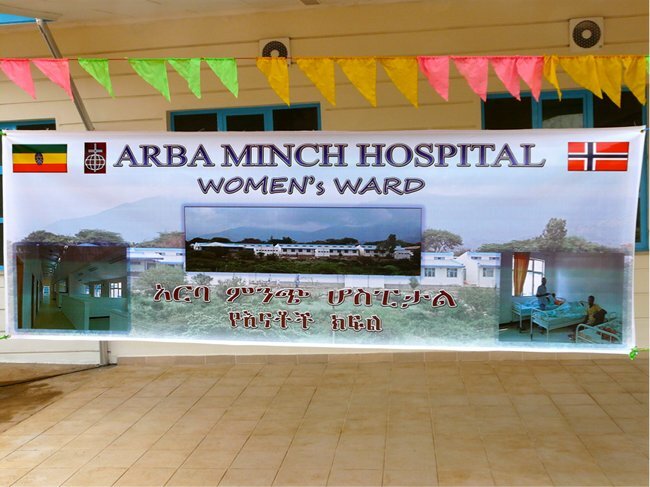 The 20-bed-fistula department at Arba Minch Hospital ran all the activity supported by The Ethiopia Fund and did not receive any support from other organisations. Without our help the fistula women in this area would not have been able to get the necessary treatment. The extraordinary empathy and care provided by this staff was inspiring, as well as the clean and almost odour-free environment they maintained. Fistulas are graded from 1-3 depending on how complex they are. Dr Amenu was skilled at operating Fistulas graded 1 and sometimes 2, while more complex grade 2 and 3 fistula were referred to the better equipped Fistula Department in Yirgalem or the well known Hamlin Fistula hospital in Addis Ababa; surgeons here have access to more comprehensive methods and skills relating to complex fistula.